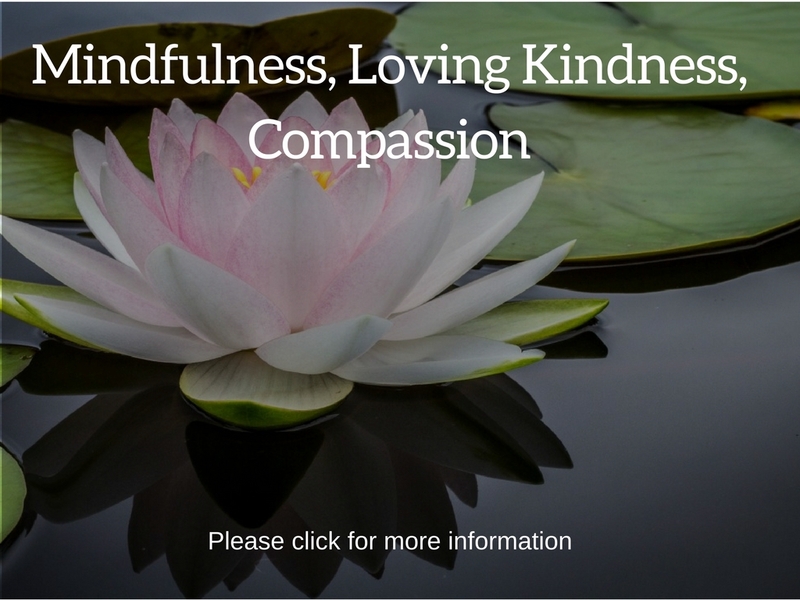 Mindfulness, loving kindness and compassion are essential elements to our work in empowered change. From our past patterns we believed that if we are not acting powerfully enough to change ourselves we would not change. An ‘all or nothing’ approach and very powerful ally when the situations in our lives that need changing. To bring mindfulness and loving kindness appears to be an irony when looking at change from the old lens. Mindfulness engages us in the growth of what I call our “empathetic curiosity.” It is a more subtle and gentle learning and inquiry of how we operate within. This subtle awakening conserves our inner energy. We learn to become more aware of how we react from our old habits we are trying to change. These habits and patterns are well wired and may take years to re-wire the neural firing. The old powerful patterns to change do power through change. Although we get burnt out by it’s mandate of take ‘no prisoners’ so to speak. Mindfulness provides us a level of insight and awareness of how much we react on auto pilot. There are many and varied personality traits within our psyche that may subconsciously block or eventually self-sabotage our change. By awakening to these elements of ourselves and understanding how important they took their roles via auto pilot we can gently take back and renew our energy. We are never going to “get rid” of aspects our habitual selves that need change. We learn to develop a different relationship to them having an acceptance and understanding of how they came about. Generally formulated in childhood to protect us from emotional hurts. Acceptance, awareness brings about a gentle change towards more energy flow of loving kindness and compassion that heals and facilitates lasting change.